The festive season of Christmas is slowly creeping up on us, and it is in the months of October through to December that people start doing their Christmas shopping. On Thursday the 10th November the European Christmas Markets in Albert Square, Manchester open to all the Christmas shoppers. The markets attract people from all over the UK and beyond, and with over 300, fabulously decorated stalls and chalets selling a vast variety of items. From gift ideas for the family such as jewellery, accessories, crafts, clothes and toys, to a delicious selection of food and drink. Last year, the Christmas Markets spread over 10 different spaces around the city, each with its own distinct character and atmosphere. Each stall attracting you to look at what is for sale for different reasons. 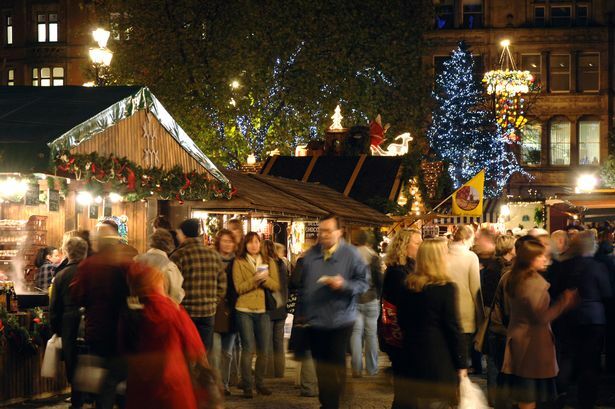 So why not mark a date in your diary to visit the Christmas Markets in Manchester. At Easirent Car and Van Hire in Blackburn, we can help you on your way there and make your experience of the Markets special. With our top of the range cars and roomy minibuses you can get there with either the family or with a couple of friends. The choice is yours. Perhaps you visited the Manchester Christmas Markets last year. Why not tell us of your experience there via our Facebook and Twitter Page.